The first step toward starting your career is submitting a resume to a company. You want to make sure it's polished, visually appealing, and attention grabbing. Even though most resumes are between one and two pages, there are many complexities involved in this document. Our software engineer resume templates and writing tips help you hit all the markers that are essential to make a fantastic impression of your professional attributes. With the right approach, you can avoid common resume mistakes made by techies. Our templates and advice guide you through every section so you can confidently sharpen your writing skills and land an interview. Why Use Software Engineer Resume Templates? 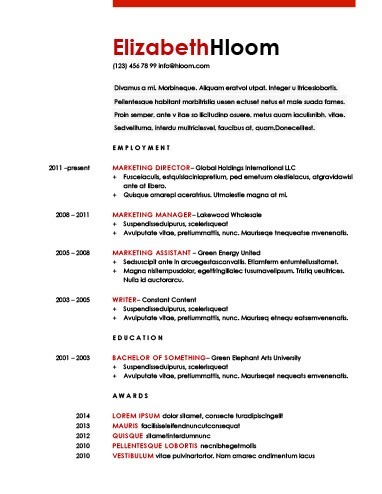 Our templates coach you on the strategies of a winning resume that grab the attention of recruiters. It's a win-win situation for everyone involved! Higher-paying positions often require a longer resume. Don't worry, that doesn't mean you have to put in more effort. Our two page software engineer resume templates simplify the writing process and do the dirty work for you. With both traditional and modern layout options, you can choose a design that's a perfect fit for the position you seek. If the job description you're interested in calls for a cover letter, we have a solution for that, too. Choose from over 250 cover letter templates to complement the creation of your stunning resume. You can kill two birds with one stone and complete your job application in one afternoon with our guidance. Cover letters often require long paragraphs; our step-by-step instructions help you conquer them with ease. The tech industry has a reputation for catering to people seeking a career change. If you're looking to break into the exciting world of software development, our changing careers software engineer resume templates help get your foot in the door. These templates feature an eye-catching layout and a smart use of white space to make the most of your non-industry qualifications. Show that you're ready to take on any challenge. Our designers modeled classic software engineer resume templates after the resumes that have been impressing hiring managers for decades. You can create a sophisticated, streamlined, and scannable document fit for a hard-working professional like yourself. Subtle yet refined, one of these templates is a great choice for a traditional and buttoned-up profession. The tech industry is constantly evolving. For a resume that's as fresh and exciting as the work you'll be doing, opt for one of our modern software engineer resume templates. A burst of creativity through colorful headlines and headers is just what you need to show you're up-to-date on the latest coding techniques. Some even have room for a small headshot. Name: Display your full name clearly at the top of the page. Avoid nicknames. Telephone Number: Add a cell or home phone number you use frequently. Don't list your current work number. Address: Include the city and state in which you live. You don't have to give out your complete address. Summary Statement: Write a brief paragraph or bullet-point outline detailing your strongest skills, accomplishments, and experiences. Limit it to three or four sentences, but be engaging to compel the recruiter to keep reading. Objective Statement: Many managers think an objective statement is fluff if you have industry experience. Entry-level candidates or people changing careers might find it useful to describe why they want a job and how they can benefit a company. Scan: Read the job description closely to identify the best traits for the job. Write out the skills exactly as they're phrased in the job description. Brainstorm: List a few assets of your own creation for good measure. Think carefully about what the hiring manager is looking for. Past Employment: Include at least two prior positions that relate to software engineering. Clearly display the names of your past employers. Duration: Hiring managers like to know you can work for a company for a significant length of time. List the month and year you started and ended each position. Tasks and Accomplishments: Using a bullet-point format, illuminate essential duties, recognitions, and hallmarks of your prior positions. Be as specific as possible; include metrics, titles of awards, and names of coding languages and programs. Institutions: State the name of any universities or community colleges you attended. You don't have to list your graduating year if you're not an entry-level candidate. Memberships: While not absolutely necessary, you can add the names of any clubs or organizations you belong to. Getting hired doesn't have to be a headache. Our team of experts understand what the recruiters want and share the secrets with you through this no-hassle builder. It's a simple and fun way to get your job search off the ground.